The cooler temperatures make is seem spring is a long way off. 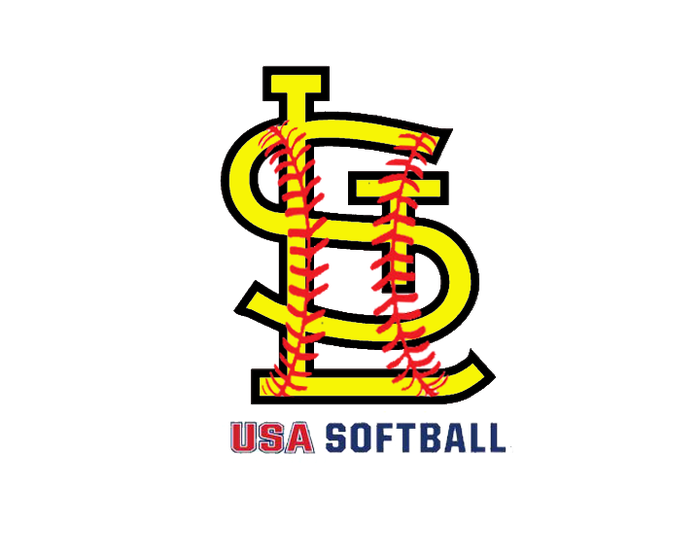 2017 Softball is not as far away as it may feel right now. We will have a few indoor tournaments at The Rivers Edge, as well as Mini Camps and Rules Discussions starting in January. Take a look at some of the things we have coming up in the list below. It's a working document and it may change some, but you can get a feel for what's happening. PLAY: One out and B2 hits a ground ball to F6 who fields the ball and throws to 1B. B2 beat the throw but missed 1B. The umpire immediately calls B4 out. The offensive team protests before the next pitch that there was no appeal for B2 missing 1B therefore B2 should not have been called out. B2 is ruled not out and they are put back up to bat with the same count before hitting the ground ball. 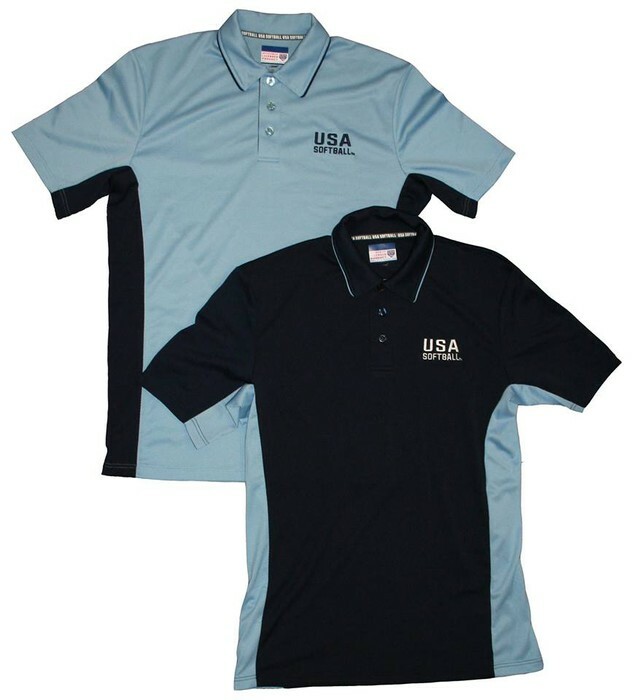 Is it Your Year to Go to a National School? 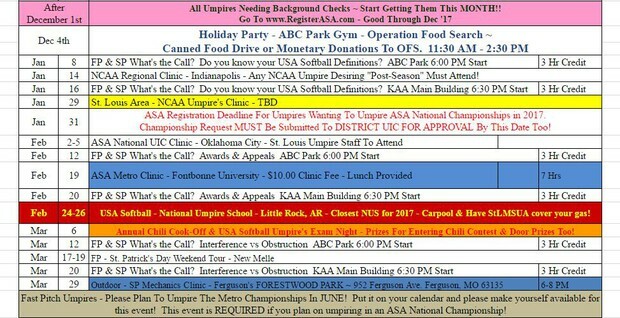 There are several National Umpire Schools scheduled for 2017. Are you due to attend? Would you like to work a National Championship in the next few years? 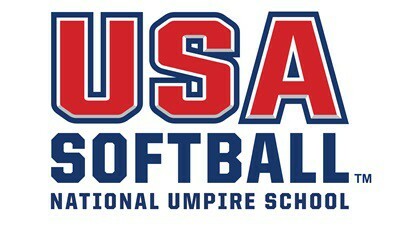 We have several umpires heading down to Arkansas for the school in February. 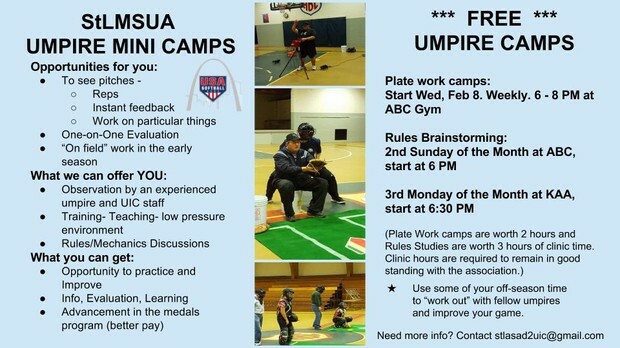 Contact Greg if you need/ want to connect with local umpires for carpooling or sharing a room. 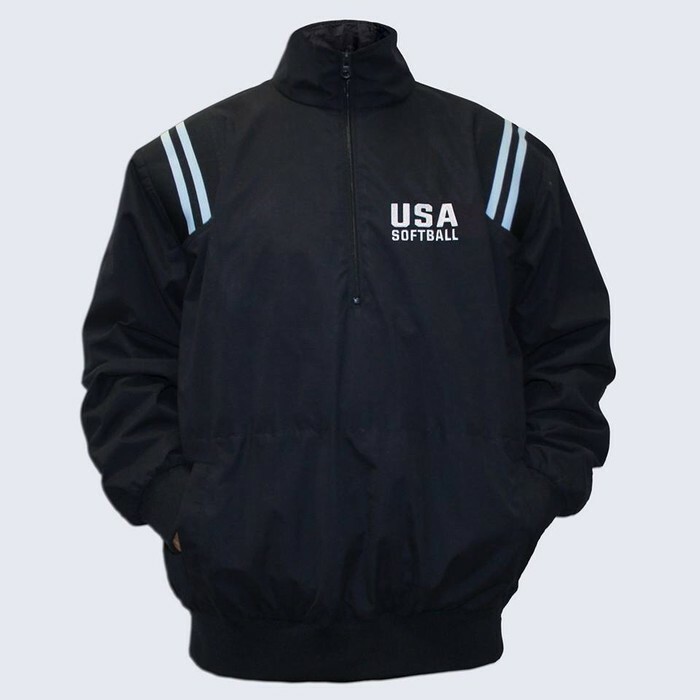 The list of schools is on the USA Softball page, under the Umpire tab. Come join us for our Annual Holiday Luncheon. In the gym at ABC Ballpark, we will have ham, side dishes, drinks and desserts. Feel free to bring a favorite side or dessert to share. We will also have some computers set up to do registrations and background checks. This is also when we collect canned food and or cash donations for Operation Food Search. New Logo items will be available to order in January. While not required, yet, you can start wearing them in 2017. 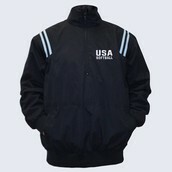 More info about uniform ordering will come at the beginning of the new year.